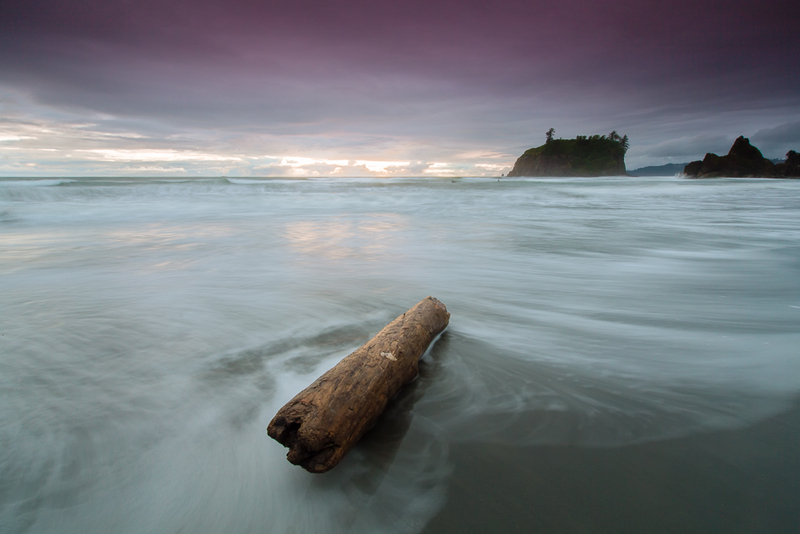 This entry was posted in Uncategorized and tagged Beach, Bryan Peterson, Coast, Driftwood, Log, Long Exposure, Ocean, Olympic National Park, Pacific Northwest, PPSOP, Rialto Beach, Tree, Video, You Keep Shooting by nixonphoto. Bookmark the permalink. Nice shot. I’ve started to just plan on getting wet, wearing my older ratty boots, wool socks and light dry-quick pants when I go landscape shooting anywhere near water. Very freeing if you can avoid worrying too much about dropping your camera in the water. Such a post comes in the right time because I’m having the same “patience” problem – but with a tabletop photography situation. Anyway, with my situation maybe it’s a different a bit since I had to stop mainly because the object got damaged. However, I do indeed lose my patience in such situations and just pack my stuff back. Welcome! I hope all is well. Good to stick with it but you are wise if you can recognize when it’s best to stop and start again tomorrow. I often do the same. I have big visions when I’m on my way somewhere, and I often have a pep-talk with myself on how I’m going to focus on doing something different, and then afterwards I realize I never really followed through with my intentions. I always feel like I could have given some extra effort somehow. I think it’s just part of the game. I really like the photo, but I get your point, too. The times when I’ve kept going and put in the time are the times when I’ve made my best captures. Still, I often forget and might quit too early the next time. Thanks Glenn. Always good to push beyond the point at which you think you have the shot in the bag. I think we all forget to do it – must be part of the process!